There is a remarkable Prophecy taking place at this time. This Prophecy is much like the work or calling that took place in the days of the Great Prophet of Yahweh whose name was Mosheh, called Moses in the King James Version, but the time period and the prophesied plagues for this generation are so much more devastating to the earth and to mankind. The gathering in this nuclear era, with the worst diseases and starvation from famines, will be spectacular. Protection is offered for those who come out of this world’s evil, oppressing religions and lifestyles, being safely guarded all the way. Notice the Prophecy. In the days Judah shall be saved, and Israel shall dwell safely; and this is the name whereby he shall be calledhTHE LORD OUR RIGHTEOUSNESS. Micahyah 4:1…but in the Last Days. Matthew 24:3, KJV…end of the world. 29 Take My yoke upon you, and learn of Me; for I am meek and lowly in heart, and you will find rest for your souls. 8 For if nJesus had given them rest, then would he not afterward have spoken of another day. 9 There remaineth therefore a orest to the people of God. 11 Let us labour therefore to enter in that rest, lest any man fall after the same example of punbelief. Notice the references from the King James Version. Seeing then that we have a Great High Priest Who has ascended into the heavens: Yahshua the Son of Yahweh, let us hold fast our profession. Then Yahweh replied to Satan, and said: Behold, he is in your power. But you must spare his life. But the Judgment will sit, and they will take away his government, to consume and to destroy it completely. 22 If I had not come and spoken to them, they would not have had their sins revealed; but now they have nocloak, covering for, their sins. 31 And He will send His Malakim (Messengers) with a great sound of a trumpet, and they will gather together His Elect from the four winds, from one end of earth to the other. But in the days of the voice of the Seventh Malak (Messenger), when he will begin to sound, the Great Secret of Yahweh would be finished, as He declared to His Servants the Prophets. In the last days the mountain of the LORD’s temple will be established as chief among the hills. mountain of the LORD, to the house of the God of Jacob. He will teach us his ways, so that we may walk in his paths. The law will go out from Zion, the word of the LORD from Jerusalem. And I will give to My Two Witnesses to per­form their Prophetic offices, and they will foretell events about the one thousand two hundred and sixty days, those cast about with darkness. One will say; I belong to Yahweh, and the same will call himself with the name of Yaaqob. The other will subscribe with his hand, and write; I belong to Yahweh, and surname him­self with the name of Yisrayl. For Yaaqob My Servant’s sake, and Yisrayl My chosen; and I call you by your name (Yaaqob); and I surname you(Yisrayl), though you did not recognize that it was Me. 5 Then the Malak who talked with me answered, and said to me: Do you not know what these are? And I said: No, my ruler. 6 So he answered, and spoke to me, saying: This is the Word of Yahweh to Zerubbabel, saying: Not by might, nor by power, but by My Spirit, says Yahweh our Father! 6 Your arrogant pride is not Righteous. Do you not know that a little leaven leavens the whole batch of dough? 7 Therefore, purge out the old leaven, that you may be a new batch, since you are unleavened. For truly Yahshua our Passover was sacrificed for us. 8 Therefore, let us keep the Feast, not with old leaven, neither with the leaven of malice and wickedness, but with the unleavened bread of sincerity and truth. 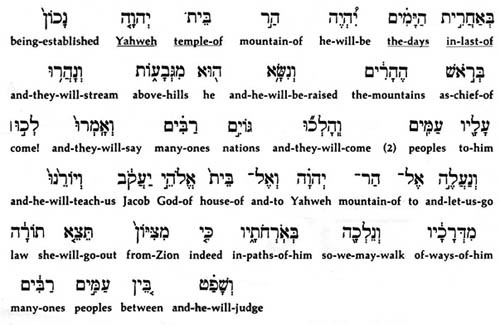 In verse 18, we see the city that reigns over the leaders of the earth is located on seven hills. Verse 9, this city sits; that is, judges the actions of the kings (leaders) of the earth. Ever hear of the seven hills of Rome? Compton’s Pictured Encyclopedia, 1948, Volume 12, page 144, tells us about the city of seven hills. 5 Then the Malak who talked with me an­swered, and said to me: Do you not know what these are? And I said: No, my ruler. 6 So he answered, and spoke to me, saying: This is the Word of Yahweh to Zerubbabel (he who opposes babylon), saying: Not by might, nor by power, but by My Spirit, says Yahweh our Father! 7 Who are you, O great mountain? Before Zerubbabel you will become a plain! And he will bring out its capstone, with shouts of: Blessing! Blessing upon it! 9 The hands of Zerubbabel have laid the foundation of this House; his hands will also finish it. And you will know that Yahweh of hosts has sent me to you. 9 For behold, the stone that I have laid before Yahshua. Upon this stone complete knowledge and understanding is established. Behold, I will engrave its inscription, says Yahweh our Father, and I will remove the iniquity of that land in one day. 10 In that day, says Yahweh our Father: every man will invite his brother under his own vine and fig tree. 1 Then again I raised my eyes and looked, and behold, a flying scroll! 2 He said to me: What do you see? And I answered: I see a flying scroll; its length is twenty cubits; about 30 feet,and its width is ten cubits; about 15 feet. 3 Then he said to me: This is the curse that goes out over the face of the whole earth. Everyone who steals will be cut off according to what is written on this side of the scroll, and every one who vows falsely will be cut off according to what is written on the other side of the scroll. 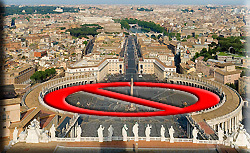 4 The curse will go out, says Yahweh our Father: and it will enter into the house of the thief, and into the house of him who vows an oath with My Name for the sake of falsehood; and the curse will remain in the midst of his house, and will consume it together with the sacred poles and the stones measured off for desolation. 5 Then the Malak who was speaking with me came forward, and said to me: Lift up your eyes now, andunderstand that which is sent by commandment. 6 And I asked: What is it? And he answered: This is the ephah; The Standard of Perfection, which is sent byYahweh’s Laws. Then he added: This is honor, knowledge, and understanding throughout the whole earth. 7 And behold, the sum total of the heaviest cover; of deception and delusion, was taken. And there was the First Woman; The First Era of The House of Yahweh, established in the midst of the ephah; The Standard of Perfection, which is sent by Yahweh’s Laws. 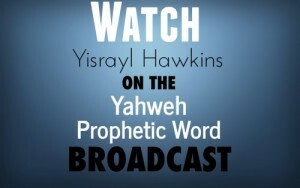 8 And this is the wickedness: And Satan overthrew The House of Yahweh within the midst of the ephah; The Standard of Perfection, which is sent by Yahweh’s Laws__by casting the same weight of lead; cover of deception,against her mouth; successfully suppressing the Word of Yahweh (the Laws and the Prophets). 9 Then I lifted up my eyes and looked, and behold: Two women; The Last Two Eras of The House of Yahweh,sent with commandment. The Spirit of Yahweh came to overspread them; and they were covered with the covering of saints. And they exalted, magnified, and extolled the ephah; The Standard of Perfection, which is sent by Yahweh’s Laws, separating the way of the world from The Way of Yahweh. 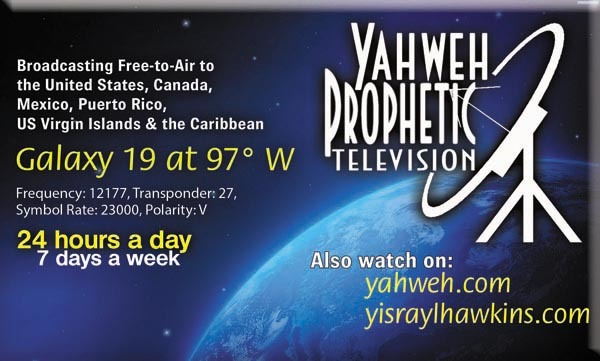 It will come to pass in the Last Days, that the mountain; promotion, of The House of Yah­weh will be established in the chief of the nations, and will be raised above all congrega­tions; and all nations will eventually flow to it. 11 Take the silver and gold and make crowns, and set them upon the head of Yahshua son of Yahzadak (Son of Yahweh), the High Priest. 1Listen, O isles; countries, to me! Listen, you peoples, from afar! Yahweh has called me from the womb; from the bowels of my mother He has made mention of my name. 6 And He said: It is not enough that you should be My Servant to raise up the tribes of Yaaqob, and to restore the protected of Israyl; I will also give you for a light to the Gentiles, so you may be My Salvation to the ends of the earth. 7 This is what Yahweh, the Redeemer of Israyl, their Holy One says to him whom man despises, to him whom the nations abhor, to the servant of rulers: kings will see and arise; princes also will worship, because of Yahweh Who is Faithful, the Holy One of Israyl; and He has chosen you. 8 This is what Yahweh says: In an acceptable time I have heard you, and in a day of Salvation I have helped you; I will protect you and give you as a Covenant to the people, to restore the earth, to cause to inherit the desolate heritages.